on our last full day in seoul, we had hoped that the weather would stay fine enough for the hongdae weekend market craft market to happen. hongdae is known as an arty and collegiate district so we were really looking forward to spending all our remaining dollars there. unfortunately the clouds rolled in and the skies opened up. 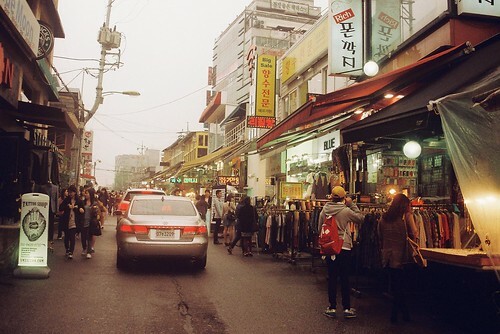 the first shot is the only photograph i have of hongdae. 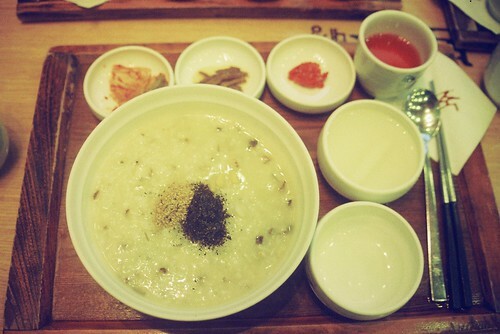 :( in the end, instead of staying at hongdae, we headed to myeongdong for a soul-warming bowl of abalone porridge. 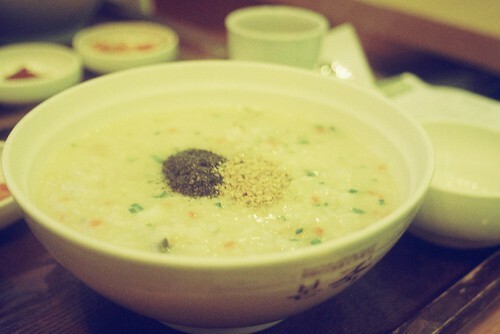 it was gooood.